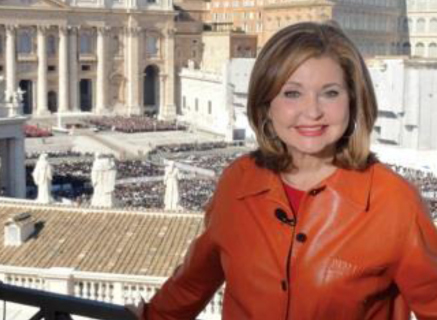 Pat Ciarrocchi will receive the Foley Award in Communications May 26 at the 2016 John Cardinal Foley Symposium at St. Charles Borromeo Seminary. The John Cardinal Foley Symposium will present a public forum discussing World Communications Day Thursday, May 26 from 10 to 11:30 a.m. at St. Charles Borromeo Seminary. Titled “Communication and Mercy: A Fruitful Encounter,” the discussion is free and open to the public. It features three panelists: Msgr. J. Brian Bransfield, general secretary for the United States Conference of Catholic Bishops; Angela Corbo, associate professor of Communications at Widener University and Matthew Schiller, president of the Catholic Press Association. Following the forum at 12 noon, the Foley Award in Communications will be presented to longtime local broadcast journalist Pat Ciarrocchi. Tickets to the luncheon are $25 per person. For more information call 610-785-6530. St. Charles Seminary is located at 100 East Wynnewood Road, Wynnewood.